Happy New Year! You all continue to make us proud. Below are some of our college’s recent accomplishments as well as individual achievements of our faculty, staff and students. When you see or communicate with the individuals listed below, please congratulate them if you haven’t already. You will likely have seen at least some of these announcements in the news over the past six months, but this is an opportunity to remind everyone of all we are accomplishing as we move into 2018. Dr. Margo Macpherson, a professor of theriogenology in the department of large animal clinical sciences, is now president of the American Association of Equine Practitioners, the leading national group representing veterinarians who practice equine veterinary medicine. She was installed during the group’s annual meeting, held Nov. 17-20 in San Antonio. Dr. Macpherson served AAEP as vice president for the past two years and has performed other leadership roles within the organization over time. Dr. Anje Bauck, a former large animal surgery resident at the college who is now pursuing her Ph.D. here under the mentorship of Dr. David Freeman in the department of large animal clinical sciences, has received the AAEP Foundation Past Presidents’ and EQUUS Foundation Research Fellow Award. The award was presented during the AAEP’s annual meeting in San Antonio, held Nov. 17-20. Her research focus is on colic and gastrointestinal physiology. Dr. Tom Vickroy, the college’s executive associate dean and a professor of physiological sciences and interim dean for students and instruction, received the 2017 Distinguished Alumnus Award from the graduate school at the University of Texas Medical Branch for his career accomplishments in teaching, service and research. The award was presented May 19 in Galveston. In addition to his achievements in veterinary pharmacology at UF, Dr. Vickroy has served key national leadership roles, including work as national co-director of the Food Animal Residue Avoidance Databank, or FARAD. Dr. Ralph Hamor, a clinical professor of ophthalmology in the department of small animal clinical sciences, served as president of the American College of Veterinary Ophthalmology. During his one-year term, he led the organization in conjunction with the group’s governing body, the ACVO’s Board of Regents, and presided at meetings of the board and voting members. Dr. Rachel Davy, who recently completed her third year of residency with the UF Small Animal Hospital’s emergency and critical care service, received the “Best Research Presentation” designation for her talk on vascular access during CPR at the European Veterinary Emergency & Critical Care Society conference, held in Dublin on June 22. Natalie Steckler, a Ph.D. candidate in the department of infectious diseases and immunology, received the “Best Student Presentation Award” at the 42nd Annual Eastern Fish Health Workshop, held April 3-7 in East Lansing, Michigan. She is pursuing her degree under the mentorship of Dr. Thomas Waltzek. The workshop encompasses all aspects of aquatic animal health from invertebrates to mammals. Dr. Selena Tinga, a Ph.D. student and third-year small animal surgery resident, received the Best Clinical Research Presentation award at the American College of Veterinary Surgeons’ Surgery Summit meeting, held in Indianapolis in October. Dr. Ilaria Capua, leader of the One Health Center of Excellence at UF and a faculty member in the department of infectious diseases and immunology, presented the Schofield Memorial Lecture at Ontario Veterinary College on Nov. 14. The Schofield lecture commemorates Dr. Francis Schofield, a renowned veterinary pathologist who taught at the OVC from 1921 to 1955. Dr. Julie Levy, a professor of shelter medicine in the department of small animal clinical sciences, received the 2017 Maddie’s Fund Avenzino Leadership Award. The award was presented in recognition of her outstanding leadership in the animal welfare community and significant achievements in saving animal lives. Fourth-year veterinary medical student Cynthia Kathir received the national Simmons Educational Foundation Business Aptitude Award. 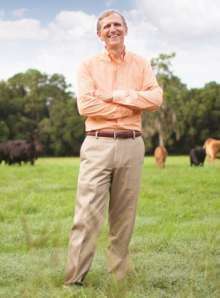 The award was presented Jan. 13 in Orlando during the annual meeting of the Veterinary Business Management Association.